SYTYKIA was a European awareness project in support of the EU's Structured Dialogue with young people and it was the first module developed as part of the Eurodesk's strategy of communicating with young people about why the EU is important to them, what opportunities exist in Europe for young people and to encourage any young person to make their views heard at European level. The project was implemented in 12 EU countries in the last trimester of 2007 and the first trimester of 2008. Over 2000 young people from schools, youth organisations and other youth structures participated in the European Awareness sessions. SYTYKIA was further developed in the Eurodesk Network by partners giving it a national perspective. HYHO was the second European awareness module developed with a specific focus on the policy area of volunteering. HYHO was designed by Eurodesk as a response to the European Year of Volunteering in 2011 to raise the profile of volunteering even further. The target audience was schools, youth organisations and other local youth structures. The sessions terminated by encouraging the young participants to take some concrete action to make a difference in their own lives by volunteering themselves. 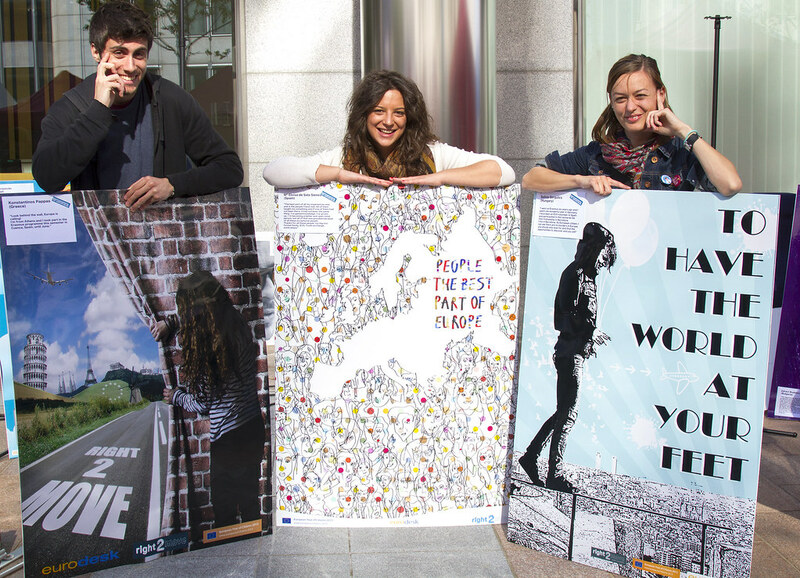 The Right2Move campaign focused exclusively on informing the European public or specific target groups about their rights as an EU citizen during the European Year of Citizens in 2013. The aim was to connect citizens rights to tangible benefits for young people such as the right to move around the EU and reside freely, fundamental rights to education and the right to vote for and stand as a candidate in European Parliament elections. The campaign was accompanied by a poster competition. The winners had the chance to present their posters at the 2013 YO!Fest in Brussels. The Last Minute Offers (LMO) website was a German project of a free European multilingual database dedicated to the promotion of international learning mobility projects for young people directly in their language. The European version of LMO was launched in 2015. LMO was based on a sending-hosting organisation system that provides a safe environment for young people to take part in international projects. Eurodesk information officers checked and validated all submitted offers before publishing them on the site. Projects hosted on the LMO were (co-) funded non-formal learning mobility offers. The offers of LMO later were merged into the Eurodesk Programme Database which can be available to browse at the Opportunities page. A German version of the LMO is still functional and updated.